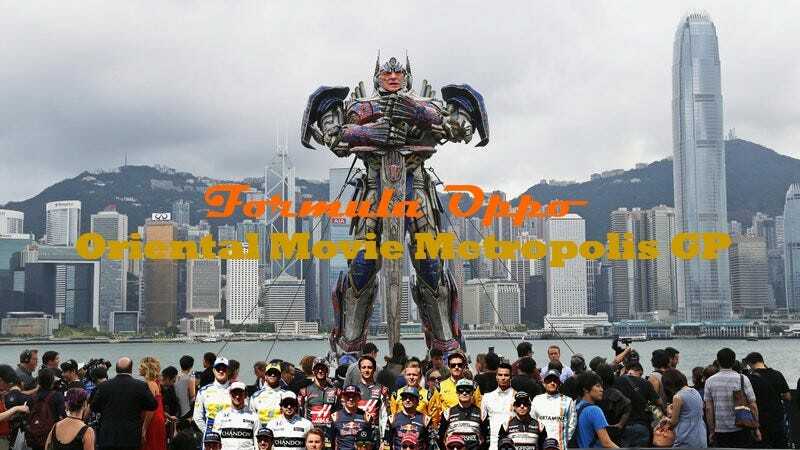 Welcome to the 3rd round of Formula Oppo, Oppositelock’s only fantasy Formula One game. This week we head on over to the port of exports to have some fun racing around in the nasty air, hell, we should just ban cars, that’ll solve the issues. Last week, Nico Rosberg won his second race of the season, boosting his lead over the track record breaking Lewis Hamilton. Yes, the V6 cars are now faster than the V10's were at one track, where is your god now? Kimi got 2nd after his Ferrari teammate had his engine spectacularly drop a valve before the race. Red Bull’s Captain Smiley got 4th and America’s own Frenchman got an amazing 5th. Yep, Romain now has more points than Sebastian Vettel. This week we are back to the old style of qualifying so no more of that craptastic format. Will Hamilton continue his pole position streak? Will he ever learn how to launch a car? Can Nico finally live up to his family’s history and win a championship? Has Ferrari finally found a winning combo? Haas has a new goal to score in every race, can they live up to this standard? Who knows? My picks for this round? The rest of you have until Q1 to get you picks in or I’m throwing you into the harbor.